Magento 2.0 is finally out and is gathering all the attention from the community, partners, existing customers and prospects alike because of all innovation packed into the platform. Magento 2.0 guarantees to be the next generation digital commerce platform with a promise to deliver three things INNOVATION, AGILITY and SCALABILITY. In the next few blogs, we will review all the changes and innovations packed in the Magento 2.0 platform and the benefit it offers to the end customers, merchants or store owners, and developers & partners. With 2.0, Magento has made significant changes to the technology stack. 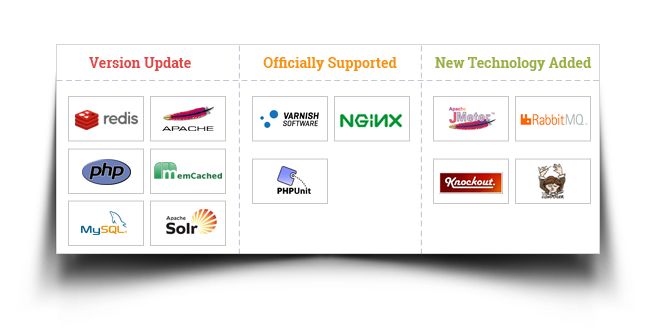 It has put in effort to not only support the latest versions of technologies like Redis, Apache, PHP, MemCached, MySQL, and Apache SOLR but also added new technologies like JMeter (for performance), Rabbit MQ (for message queue), Knockout and Composer (for deployments). In 2.0, Magento now officially supports Varnish, Nginx and PHPUnit. With support for all the latest technologies, Merchants will now benefit from a more robust, secure and fast eCommerce web store. Magento has also put in significant effort to resolve the issues which commonly occurred in Magento 1.x like deadlocks. The support for modern technologies will also help merchants see efficiencies in the management and maintenance of production instances. 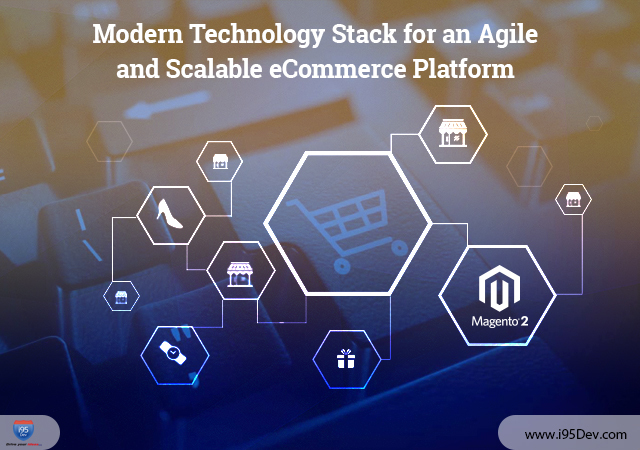 The modern technology stack will help developers and partners develop more robust eCommerce stores and extensions. This will also decrease the effort they had to invest on Magento 1.x stores to optimize them for speed and performance. The developers and partners will have to invest additional time in learning the new platform & the supported technologies, and assessing the impact of this on their sales, development and support strategies for existing and new customers. While the technology stack does not directly impact end customers, they will benefit the most from it in the form of an improved, robust, secure and fast eCommerce store. Stay tuned for our next blog on Magento 2.0.